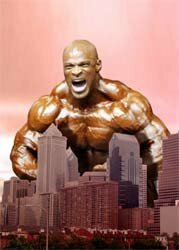 In the world of bodybuilding, how big is too big? Well our forum members have put in their two cents on what they think and whether or not bodybuilding is going in the right direction! Learn more about their opinions right here! TOPIC: In The World Of Bodybuilding, How Big Is Too Big? As the years pass, the size of professional bodybuilders have been growing at an incredible rate. There is almost no limit to the amount of muscle mass they are able to put on. The figure of a bodybuilder decades ago would be put to shame by the names of Ronnie Coleman and Jay Cutler. However, is this shift to freak versus freak good? In the world of bodybuilding, how big is too big? Explain. Are today's pro bodybuilders just too big? Is this change in bodybuilders' physiques good or bad? 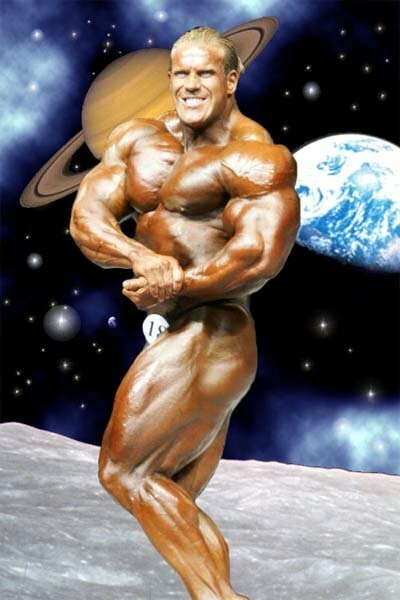 What do you think the bodybuilders of the future will look like? Bodybuilding is a sport about getting better, setting goals and improving. Each time a bodybuilder sets foot in a gym, or a kitchen, the goal is to gain more muscle and look even better than the last time around. This mentality is not strange in the bodybuilding community because in order to be successful from day 1 you must think like that and focus all your energy on your goals. This tactic arises a lot of questions. Bodybuilders have always been an extreme sub-culture, but at what point is big too big? Even in the bodybuilding community there must be an extremeness that even bodybuilders themselves are noticing. Bodybuilding has come a far way from back in the day. Take a look at Arnold and the bodybuilders of the Golden Era. Then go back further to when Arnold was a kid dreaming about his favorite bodybuilder and actor Reg Park. Then take another step back and look at the early 1900's, with the likes of Eugene Sandow and other strong men. Starting from a circus attraction and developing into an aesthetic sport that many fell in love with. After the introduction of Pumping Iron the world got introduced to bodybuilding. In the 70's and 80's bodybuilders got a little bigger but still maintained that classic look. As the 90's progressed a big change began to happen. 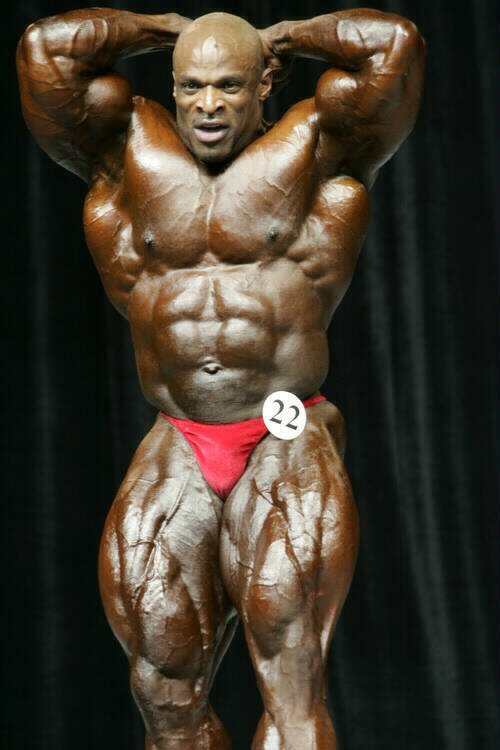 Lee Haney was the first in my opinion to get a little bigger but still stay aesthetic. After that Dorian Yates blew everyone off the stage as he stepped in great conditioning while weighing 20-30lbs more than some of the competition. As Dorian stepped down to make way for Ronnie Coleman things got crazy. The era of massive bodybuilder had begun. Ronnie is stepping on stage at nearly 300lbs. That's contest shape where he has little to no body fat, and pretty much not holding any water. That is crazy. It shows how far bodybuilding has come and it also portrays how amazing and unbelievable the human body is. 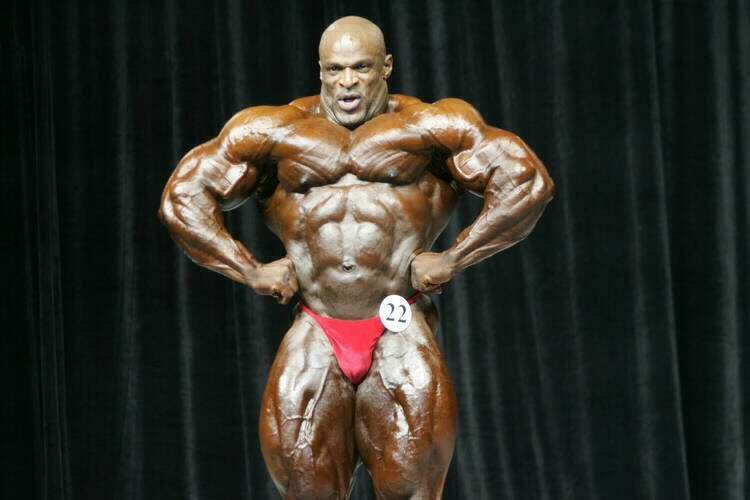 Ronnie Coleman At The 2006 Olympia. People in the days of Arnold marveled about how big his arms were. As you can see Arnold in Pumping Iron, everywhere he and his bodybuilding friends went, crowds followed and stared. 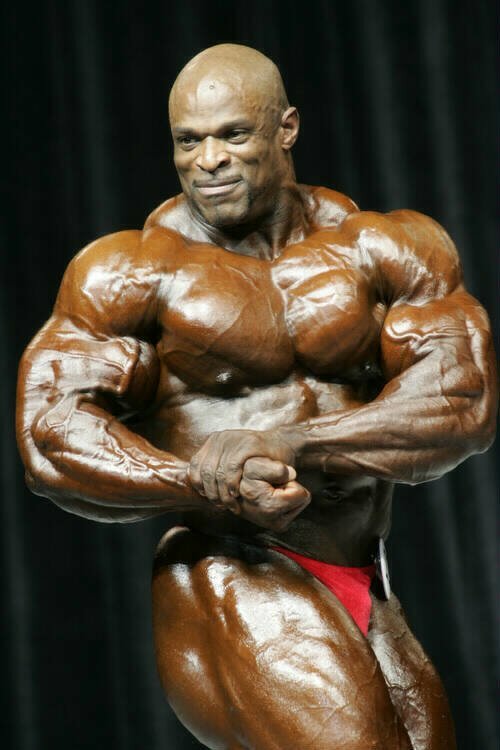 When you see Ronnie Coleman, it's hard to believe that he is an actual human. In person he looks unreal. Like he is a life-size action figure. To some people that's amazingly huge. At 300lbs+ in the off season, while still maintaining a decent body fat, that's something amazing that a human has accomplished. It's Hard To Believe He's Human. There are a few bodybuilders on this earth like that, and that's something to be proud of. Personally I think this is about the limit one's body can take before other organs such as the heart/liver/kidneys can take in order to maintain that amount of size. I am somebody that loves bodybuilding. I love this sport and what everything is about. The lifestyle of bodybuilding matches my personality 100% and I love everything I have to do in order to achieve my goal. Personally I love the way Ronnie, Jay and Ruhl look. The mass monsters of today are setting new standards for the win. Some would consider today's bodybuilders way too big. In my opinion, I know they are big, but bodybuilding is always about extremeness and I think that they are just right. Personally I don't see a bodybuilder 330+ lbs on stage. I mean, it could be done but the mass and proportions would look terrible. There is only so much the body can hold and I believe that today's pros have touched the limits between size and still being able to win without looking too weird, even for bodybuilding. 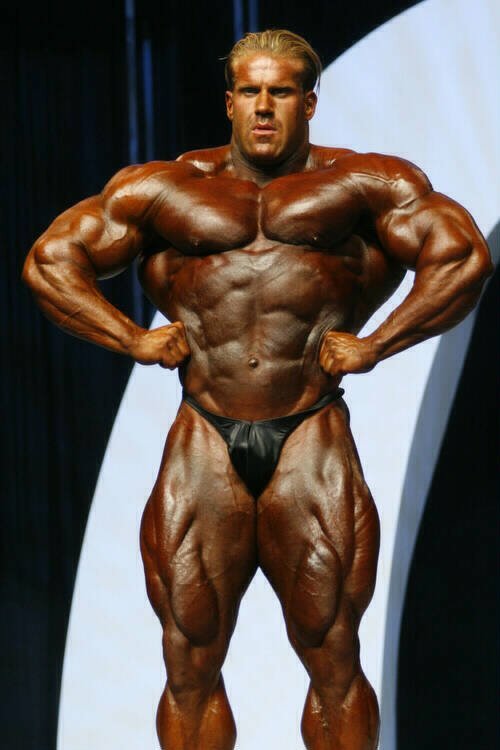 Markus Ruhl At The 2007 IFBB Arnold Classic. But like I said, bodybuilders are people that set goals and go up and achieve them. So Ronnie and Jay constantly improve each year. I mean what do you want them to do, just sit and be the same. "The Desire And Instinct To Go Up, To Achieve, To Conquer." There are several ways to look at this question. First off notice how ESPN showed a lot of bodybuilding shows back in the 80's and early 90's. Turn the TV on right now and you will see water polo, chess, hot dog eating contests and poker. But no bodybuilding. Our sport has always been a sub-culture, but with the mass monsters of today we took out every chance we had to succeed and make bodybuilding mainstream. I look at this as neutral, because bodybuilding is not a normal activity, and that's a part of why I love it and it's special to me. It's not for everyone. Personally I like the mass monsters because it sets out new goals in which me or you could go after. It shows that it's possible to achieve. I believe that for bodybuilding fans the turn around to size is somewhat good, but when it comes to general public we are taking ten steps back. The future of bodybuilding will be interesting. Since Ronnie lost this Olympia and Jay has the throne interesting things might happen. The next few Olympias will tell how the future of bodybuilding will look. I am sure that the mass monsters will always win, but the questions is would the mass monsters be the size of today. We have to remember that Jay is the only one that is matching Ronnie on size. And it took him years to do that in order to get to that level. With Ronnie being gone, Jay might ease off 10-15lbs and focus on more aesthetics and definition when it comes to contest time. That's one argument that we have to consider. Even Jay says he doesn't like being this big, but has to do it in order to win. So with Ronnie out, he could focus more on aesthetics. Another reasoning is the fact that bodybuilders are all about new goals and achievements. I don't think the public or the bodybuilders' mentality will like going to a show smaller than before. A lot of bodybuilders are stuck looking at the scale, and the more is better theory is always there. Also Jay is now the big dog and there are a lot of other hungry pros. Victor Martinez and Toney Freeman come to mind. They might do what Jay did to Ronnie and play the catching up game. Victor Martinez & Toney Freeman. Jay is always in the high 200's, so how much would they have to weigh in order to take him out. 300, 320? Not sure, but one thing for sure is that the next few years will be very interesting and will set the field for the future. This upcoming Olympia will be one of the most exciting one and will somewhat dictate the future of bodybuilding. Over the years the size of bodybuilders has ballooned, with athletes topping 300lbs - now recorded regularly. In an entirely subjective sport - there is no agreed scientific measure for bodybuilding greatness as there is for say, running or baseball - the discussion of size and, conversely, aesthetics, is central to the sport. We can compare runners on their speeds over a marathon or 100 yards, or baseball players on their record of runs, but bodybuilders can only be compared based on personal subjective preference. To decide how big is too big, we must first define what is the bodybuilding ideal, what is the aim of bodybuilding? All bodybuilders have their own goals, but as a competitive sport - distinct from a personal activity - what is its aim? A layman may say that its aim is simply to build the biggest physique possible, but this can easily be discounted. If this was the case, scoring would be achieved through the scales - weighing athletes in pounds or kilograms less their body fat - and not by a team of judges. No, the purpose of bodybuilding has always been rooted in its aesthetics. But what makes good aesthetics? What is, "Beauty?" The earliest forms of what could be called bodybuilding were in ancient India and latterly, Greece and Rome. The "Grecian ideal" - as immortalized in their statues of Gods and warriors - was of muscular and proportioned males, with chiseled tapered torsos, defined abs and low body fat. But the reason these physiques were so desired and admired is simple. Going back to our hunter/gatherer roots, these attributes - broad shoulders, muscular, strong legs etc - were those of the most dependable, successful men. Primeval woman wanted dependable mate, and primeval man wanted to be him, or at least in his tribe for safety. This took off even more in later years, such as Greek and Roman times, when these same attributes made for heroic warriors and also gladiators. A walk around Athens or Rome can soon demonstrate that the Ancients knew what male beauty was. The Grecian ideal was the hero physique. And I use the words beauty and hero here deliberately. The Ancients knew their ideal, admired by women sexually and men in strong admiration and aspiration, and it was the rediscovery of this ideal that gave birth to modern bodybuilding. In the 18th Century, a revival of interest in classical times saw Europe, particularly Britain, return to ancient styles in art, architecture and also, admiration of the physique. The Elgin Marbles, from Athens, were displayed in London in the 1800's with the top prize-fighters posing beside them to demonstrate their accuracy. The well-to-do ladies flocked to admire the "Art," whilst wealthy men - including the Prime Minister, politicians and Royals - demonstrated their physiques in boxing - another popular hobby. And by the turn of the century, Eugene Sandow was promoting physical culture and taking part in the first bodybuilding contests, once again well attended by admiring females and physically aspirational men. They too knew what was their view of perfection, the fully developed physique was back in fashion, but what of today? Today's athletes have knowledge, equipment, food and supplements beyond the dreams of even the greatest Roman gladiators, athletes or fighters, or that of Sandow's era. What is fully developed today is far more, so our bodybuilders are larger. But the largest bodybuilder does not always win - aesthetics kicks in as well. The hero physique isn't the largest, it's the one with broad shoulders - and hence a narrow waist to emphasize this - powerful legs, separation between muscles to highlight them etc. The physique of a warrior, hunter or hero. Without our conscious knowledge, bodybuilding's own heritage, back to those early days, weighs up size with aesthetics. Athletes like Markus Ruhl are cheered, but don't win. They simply don't pass the aesthetic test. In our eyes they are not the fully developed specimen but rather abnormal. They lack the hero physique form as they are blocky, their muscles poorly separated, their physique looking cumbersome, slow, square. A physique such as Jay Cutler or Ronnie Coleman retains the lines and shape our minds are hot wired to view as strong, hunter/warrior like, brave - the sort we admire in a primeval, masculine and inspirational way. They are hero physiques. Though they are huge, they still look - in a muscular way - fast, like they could be fighters or hunters. Trapped in the woods thousands of years ago and hunting with just a knife, or going into battle with just a sword, you'd pick them over Ruhl. So can we say how big is too big? No, but we can say when a physique is wrong, and that probably means some weight loss is needed in certain areas to rebuild the balance and hero physique look. There must be tapering to the waist with broad shoulders and powerful legs, the so called V-taper or X-frame, defined and clearly separated muscles etc. And are today's professional bodybuilders too big? No again. Some are, but others - including some of the largest such as Jay Cutler and Ronnie Coleman - aren't, and generally contest placings reflect this view in most cases. Any size is acceptable providing the key "Hero physique" attributes are kept and developed. Size and aesthetics, in balance. Thanks to the developments in bodybuilding, we now have a more interesting and professional sport. The athletes of today trump those of the past in most cases, and the improvement in physiques too has aided amateur competitions, the high standards of which is now often comparable to the professional levels of just a few decades ago. Very few would prefer to see smaller athletes return, hence the failure of natural competitions to reach the level of the NPC/IFBB. The looking back at past golden ages revolves around a few top athletes, the rest is rose tinted glasses. The golden sunshine of memory makes us forget what we have. Though the mainstream and the media sneer, we must accept that - to a certain extent - they always have done. The development of human physiques - and in particular male physiques - to their fullest potential will never be mainstream marketable, and so we must instead revel in a sport for its sportsmen. We can understand that the sport is not gay, whereas to the ill informed, any male appreciation of physical development is viewed as such, whether the athletes are 180lbs or 280lbs. The future, lead by this dominance of the dedicated few who are themselves bodybuilders to some degree, will see a continued improvement in physiques providing the hero physique aesthetic criteria are upheld in judging. There will always be smaller and more Grecian style pros, and larger Ruhl style pros, but the balanced ones will be the majority - and the victors. In bodybuilding, the question of big vs. too big is best answered on an individual basis. Bodybuilding is about an individual achieving the physique that they feel is ideal for themselves. This quest for the ideal leads each individual on there own personal journey. Many of these journeys follow completely different paths. For one person, their focus may be on trimming off a few extra pounds of fat and getting that shredded look. However, another may constantly search for packing on as much extra size as they can. Most bodybuilders will tell you their pursuit is never truly complete. We can always find something that needs a little tweaking. For some people, the term "too big" may seem absolutely ridiculous, there is no such thing. In most cases, what is big or too big is a completely subjective opinion held by a person judging their own physique. In the world of professional bodybuilding however, the personal aspect is completely removed. A huge and symmetrical body is a prerequisite to place well in any show. An individual body part could be judged as too bid if it isn't symmetrical with the rest of the physique, but if the whole body falls into proportion, it appears that overall size is always a plus. At the current state of professional bodybuilding, it seems that the term "too big" doesn't apply so long as everything is kept in proper balance. Honestly, I don't feel they are. Professional bodybuilders give everyone a model of just how far the human body can be taken. In athletes like Ronnie Coleman and Jay Cutler, we truly see what the body can do and the absolute potential for growth. We look to these individuals to see just how far things can be taken. Jay & Ronnie At The 2006 Olympia. With the advances in science and technology in supplementation, nutrition, and training, today's pros are expected to be able to take it to a level that was never reached by those that came before them. Until we reach a day when science and training can no longer squeeze another sliver of growth from these guys, they will still have the potential to grow and as we know, professional bodybuilding has always been about taking the body to its absolute potential. For a fan of the sport and an active bodybuilder, I think the change is a positive. As these athletes continue to grow, they serve as further motivation to push yourself that much harder in the gym. Seeing the tremendous feats these individuals achieve with their body only inspires those who follow them to give that much more when they hit the gym. However, for the general public, the opinion may be quite different. They look at the professionals and cannot see the extreme hard work and dedication that was needed to craft these chiseled bodies. Instead they picture a world full of syringes and steroids. Unfortunately, their lack of understanding makes it impossible for them to see anything different. Luckily, I don't think the increased size of today's top pros really changes these perceptions. To the untrained eye, there really is no difference between one bodybuilder or another. Some look with disgust while others see nothing but a large guy, but don't full appreciate the subtle difference that exist. The larger men of today or those of the past are all just muscular guys, and so the perception does not change. Because of this, I feel the increase in size is a good thing. For the general public, the perception of the sport remains the same. Increasing the size of the participants will have no impact on how they view the sport as a whole or the individuals who take part. For the true fan however, the continued growth of our favorite pros serves only to further our awe at their dedication and determination. In the future, I only see the pros getting bigger. There are several reasons, none more relevant then the continued increases in both nutritional and physiological science. As further advances are made, slightly improved training techniques will be developed and better supplements will be created. These subtle advances will allow future bodybuilders to take their physiques a step above the champions of today. As stated above, I feel the only limiting factor to how big bodies can get is how far science can take them. Science is currently nowhere near fully understanding the complexity that is the human body. Deeper understanding will only lead to improved muscle building techniques. As long as advancements are made, bodybuilders will use them to take their bodies to the absolute limit. With each generation of bodybuilders taking the stage, too big is taking a whole new meaning. Back when Arnold was in his prime, he was probably considered a 'freak' and was too big. However, if you compare them to today's bodybuilders, he almost seems small. I do believe there is a point in human chemistry where they just can't get any more muscle mass, but I don't think we have reached that point yet. Research continues to reveal cutting edge nutrition and supplemental breakthroughs to get today's bodybuilders bigger than ever. Bodybuilders will keep trying to get bigger and bigger to get the advantage on stage. In my opinion, they are. Today's bodybuilders are just too big. I have lost some respect for bodybuilding as a professional sport because it just seems like it's more of a competition to see who can pump themselves with the most steroids. Although Ronnie is a good guy, all that steroid abuse has left him with an oversized gut, same with many other pro bodybuilders. It seems like today's bodybuilders are trying so hard to get as big as possible they lose sight of what they are supposed to do; have an awesome physique. 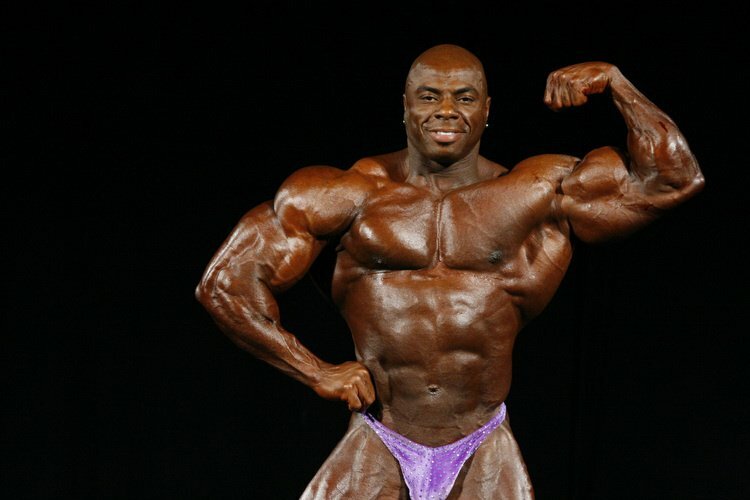 Ronnie At The 2006 Olympia Pre-Judging. Today's bodybuilders will stop at nothing to get as huge as possible. They load themselves up with steroids and chemicals to get big. In the meantime, they are slowly killing themselves and setting bad examples to kids who aspire to become pro bodybuilders. If somebody aspires to become a pro bodybuilder, they basically have to accept the fact that they are going to destroy their bodies with all these chemicals in order to have a chance to win. Natural bodybuilders just can't compete with these freaks. I think this change is bad. The golden age of bodybuilding is long gone when people could look at physiques such as Arnold's and actually find it somewhat attractive looking. Bodybuilders in the past had V-tapers with chiseled, small stomachs and people actually enjoyed seeing this. Today's bodybuilders are so huge it almost disgusts people. I've looked in Flex Magazine before and people would cringe at the sight of these freaks and would ask me, "Do you really want to look like that?" I can't help but look at them with some disgust as well. It is hard to say what future bodybuilders will look like. It may take a decade or more, but I think bodybuilding will go back to how it used to be. Bodybuilding competitions are becoming increasingly unpopular as these bodybuilders get bigger and bigger. Many people just don't want to see people so freaky. I think bodybuilding will try to bring back the golden age by searching for bodybuilders who have the classic look to them. It is much more pleasant to the eyes and has many benefits to it. It gives people a role model, someone they can actually become without destroying their bodies. If more people got into the sport, the supplement industry would also go up, and of course bodybuilding competitions would become more popular and actually get aired on a bigger T.V channel such as NBC, ABC, etc. 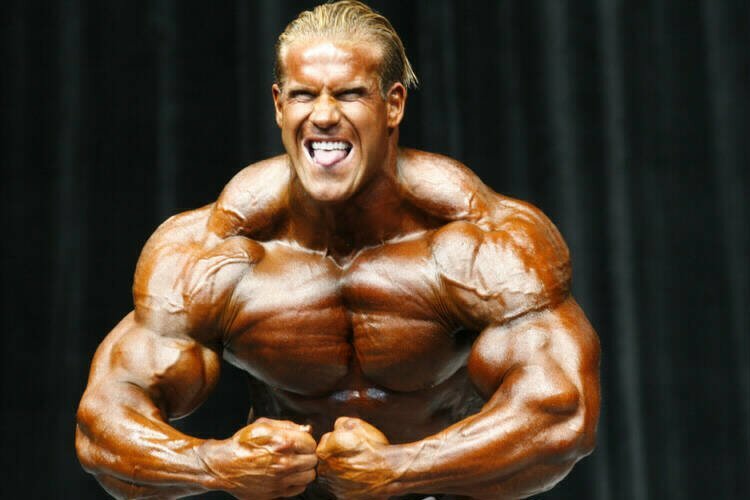 The shift that bodybuilding has undergone over the past few decades has been drastic, but it's doubtful it would have turned out any differently. The reason people started bodybuilding was to be able to shape their body beyond that of ordinary men and women; to change their entire physique at will. Naturally, this progression would lead to the freaky size we see today, as the point of bodybuilding is improvement and shaping one's body. Improvement made on already great physiques eventually lead to the unnatural size that some competitors possess in this day and age. The reason we have competition is to judge who has the better physique, and all other aspects equal, size will win. If everyone had the same symmetry, definition, and mass, competition wouldn't exist. However, is this change necessarily what we want? 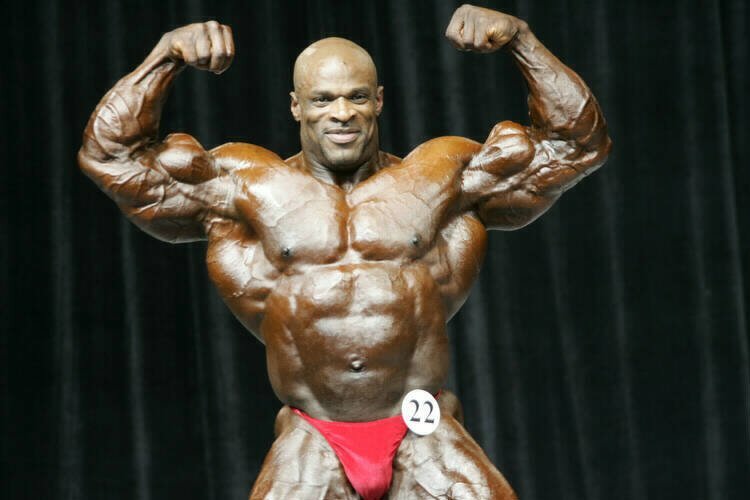 To bodybuilders, the size and freaky definition of people like Ronnie Coleman and Jay Cutler are impressive, but not nearly as shocking to the rest of the population that doesn't share the same lifestyle. We see the pictures, watch the webcasts of the shows, and we feel it's more common than it really is. On one hand, their mass goes way beyond what people should normally look like, but on the other, people were just as shocked of the trim aesthetically pleasing physiques of decades past. In the world of bodybuilding, obviously we aren't getting too big, as the judges continually favor the bigger guys. 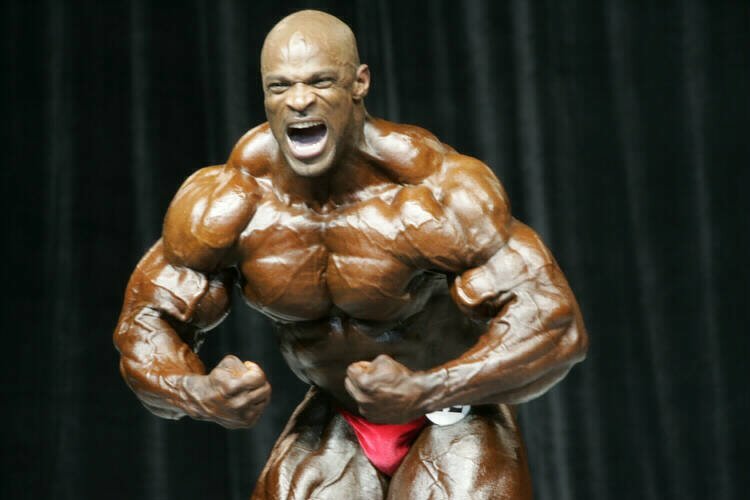 The Olympia has been all about the top two or three biggest monsters, mainly Ronnie Coleman and Jay Cutler, while the smaller yet equally as defined and symmetrical competitors were overlooked. Bodybuilding has shifted from a competition for the most aesthetically pleasing physique to the most frighteningly unnatural conglomeration of muscle possible. 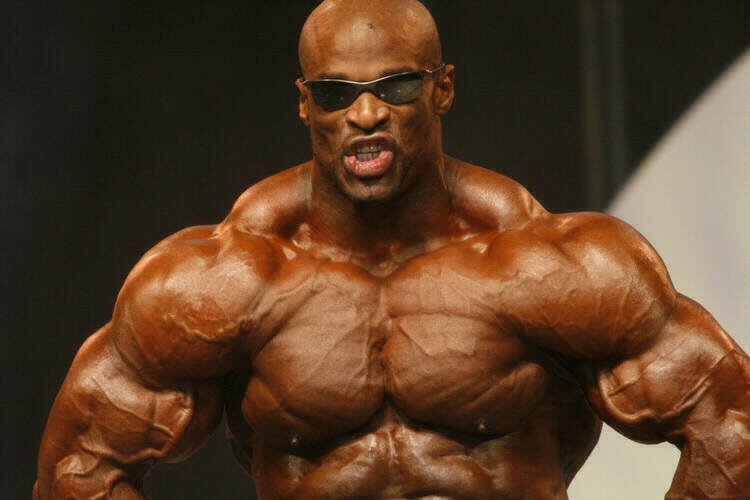 Physiques like Ronnie Coleman's or Jay Cutler's are pushing the limit, and judging by the progression of the sport in the past, they'll only get bigger and scarier. What ever happened to the physiques of the past, ones that were trim yet muscular, big yet fit, with a more natural and generally appealing look? A pose that has disappeared in the sport of today is the vacuum pose, one that showed that despite having large and full muscles, bodybuilders had small waists. V-tapers back then weren't all about extreme width of the shoulders and lats, but about the thin waists compared to the more natural width of the upper body. The bodybuilders of today have defined abs for a show, yes, but even then their waists are large, and in some cases stomachs protrude. Large muscles are great?? "distended stomachs due to overly large abs are hardly so. To predict for the future, we must look to the past: over the years, bodybuilders have gotten bigger and freakier. This trend will only continue until it's impossible to go any further-the question is, what is that point, and where is the line between big and "too big"? Leaps and bounds have been made in science to allow for the literally growing trend in the sport of bodybuilding today. The discoveries made and the ambition for bigger and freakier bodybuilders will continue to grow, but when will we decide enough's enough? While some say it's gone too far already, others welcome the growth to come. In the end, we'll just have to wait out the moment when the collective bodybuilding community calls it a day.